Nebraska Gov. Pete Ricketts declared a state of emergency on Thursday in order to help battle the spread of bird flu in the state. The action taken by Ricketts makes Nebraska the fourth US state to declare an emergency from the rapidly spreading bird flu virus. The decision was made after federal agricultural officials confirmed a second farm site tested positive for the disease. "This declaration give us additional tools to effectively deal with this disease. We have a poultry sector valued at $1.1 billion, so obviously the impacts of avian influenza will be far-reaching,"said Ricketts at a press conference. Nebraska's decision follows earlier actions taken by governors in the hardest hit states of Iowa, Minnesota and Wisconsin. 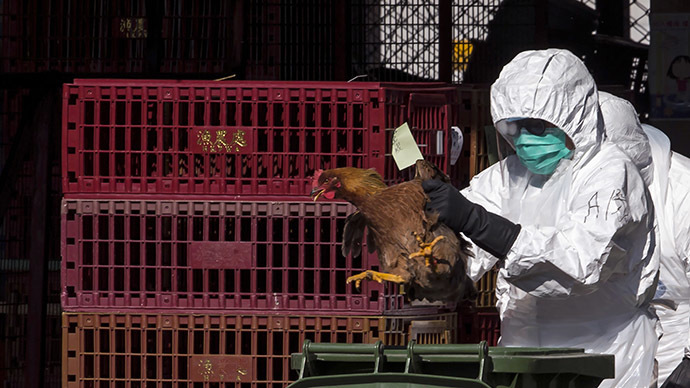 The virus has led to the culling of more than 33 million birds in 16 states. Governor Ricketts said the state has already benefited from local, state and federal agencies. "The Nebraska Department of Agriculture is coordinating with several state agencies for a thorough, expeditious response. While not a human threat, the discovery of avian influenza is a serious situation for our poultry sector, and I want to provide responders with access to all appropriate tools to address it," he said. Declaring a state of emergency opens doors to releasing funds and other aid to the Nebraska Department of Agriculture, as well as other state agencies, to contain the bird flu outbreak. It gives agencies the power to track, monitor and respond to confirmed cases of the virus throughout the state, containing those animals already confirmed to have the disease. It also grants them culling, disinfection and disposal powers, and lets them conduct surveillance and early detection practices to stop the spread of the disease. "Having a second farm in Nebraska confirmed to have HPAI (highly pathogenic avian influenza) is unfortunate but not completely unexpected," Nebraska Department of Agriculture Director Greg Ibach told reporters, according to Reuters. Ibach said the number of chickens that have died or will be killed has grown to more than 3.5 million. Both Nebraska farms are under quarantine. Reuters reported that the US poultry and egg industry have been struggling for months with the biggest outbreak on record. Until this week, the outbreak was concentrated in Western States. On Monday, the virus was detected in an Indiana backyard poultry flock.